Family Owned & Operated Since 1972! Certified Tech-Net Provider! 24 Month, 24,000 Mile Warranty! Towing Available 24/7- Check Out Flag City Towing! 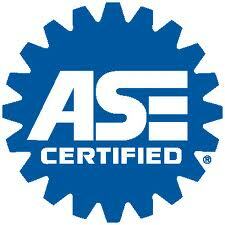 B & E Automotive Service is a full-service auto, SUV, and light truck repair and preventive maintenance center. We have been performing high quality, guaranteed auto repairs in Millington, Tennessee and the surrounding communities for over 40 years. B & E Auto services all makes and models, both import and domestic. All of our Service Bays are equipped with the latest diagnostic equipment to guarantee your vehicle is repaired and serviced properly in a timely fashion. We only use quality replacement parts and our technicians keep current training in eight areas: Engine Repair, Engine Performance, Electrical/Electronic Systems, Brakes, Heating and Air Conditioning, Suspension and Steering, and Axles. By using this knowledge in conjunction with our automotive service information systems we are able to pinpoint both driveability and electrical system failures in the quickest and most cost-effective manner possible. For this reason, B & E Auto is the place to bring your vehicle for repairs that you know will “be done right, the first time”. At B & E Auto, we specialize in taking care of our neighbors, one car at a time, and have built a loyal customer base by continually providing the honest and ethical work that B&E Auto was built on. Before any repairs are performed we make sure that every customer understands exactly what services and repairs are needed and why, allowing them to make an informed decision. In addition, B & E Auto’s goal is to educate all customers about the importance of a “Preventative Maintenance Approach” to reduce unwanted auto repair, a proven way to save thousands of dollars over the life of each vehicle. Whether your vehicle is in need of repairs or scheduled maintenance, “B & E Automotive Service is the best place to come for A-1 Service, Quality Parts, State-of-the-Art Diagnostic Equipment, Integrity and Prices that will get you back on the road, Quickly and Affordably”. Flag City Towing Available 24/7! 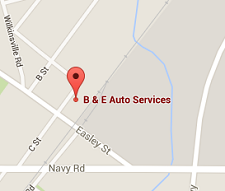 B & E Auto Service is serving Millington, TN and the surrounding areas.